When does Investing into a Fund platform Via Your Life company Portfolio Bond, make sense? more liquid options exist. Typically there is an initial charge of around 10%, spread out over a 1-8 year period, plus an annual administration fee. What you do get however for this is virtually free access to most of the major fund houses. Which means, you do not have a pay the upfront 5-6% initial charge that most of these funds charge. It also gives you access to individual stocks and bonds in most major exchanges around the world and alternative investments i.e. structured notes, hedge funds etc. Despite the rather high initial charge to get into the platform, the end result is quite acceptable and the fees can be overcome to achieve decent returns. By the way, a bulk of this initial fee goes to the advisor and his company that sold you the account up front. But they told you that right? On the other side, there are several new offshore fund platforms, many of which originate out of Bank De Luxembourg. Alone they seem to be good alternatives to the life company’s open platforms, but can also be expensive. These platforms charge the client in a different manner. There is no initial charge to get into the platform but when you go to invest into funds you are hit with the maximum initial charge that is published by the fund house (that 5-6% mentioned above), the bulk of which goes to the advisor. For example, if you buy the “Aberdeen Global Emerging Markets Fund” via the platform you will be hit for a 6.38% initial fee. Hmmm. Used alone, and correctly the two platforms are tolerable and you may have a chance of making money, but when you put them together, you will be destined to fail. Unfortunately, there is strong evidence this is what advisors in Shanghai are doing from what we have seen recently. They are linking client’s life company portfolio bonds some of which are QROPS, with the Bank De Luxembourg fund platforms and in essence double charging their clients. 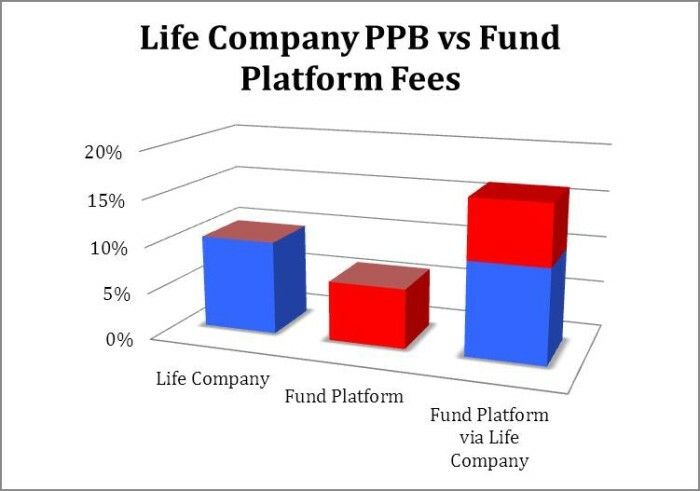 Once there, they are then investing into funds that they can get into for free via the life company and charging their client an additional 6+% when linking to the fund platform. When you link the two platforms the fees are astronomical, the investment in the Aberdeen fund listed above is not only charged a 10% initial fee by the life company but is also charged another 6.38% by the fund platform to get into the fund. You don’t need a calculator to add that to a total of 16.38%. Given the advisor earns a 2-6% commission every time he switches your funds, do you think that some “advisors” might find reasons to switch more often because they “react to the markets”? Of course they will, but it won’t be for your benefit. On top of this, many advisors will charge you another 1% management fee to obtain their expert advice…which is sadly lacking and boarding on criminal. If you find yourself in this situation, I recommend that you confront your advisor and question them on why the platform is necessary if you already have access to these funds via your life company. If they give you a compelling argument, please let us know, as we absolutely cannot find one. We can be reached at query@caterergoodman.com or by phone at 021-3366 1337.